Heather Garriock with one-year-old son Astin. Photo: Lachlan Roberts. By her own admission, Heather Garriock has undergone plenty of soul searching over the past couple of months. For the second year in a row her team, Canberra United, missed out on making the finals. This was difficult to swallow, even more so for Heather who has achieved plenty in football. Her impressive CV includes two Olympics and three World Cups as a player. 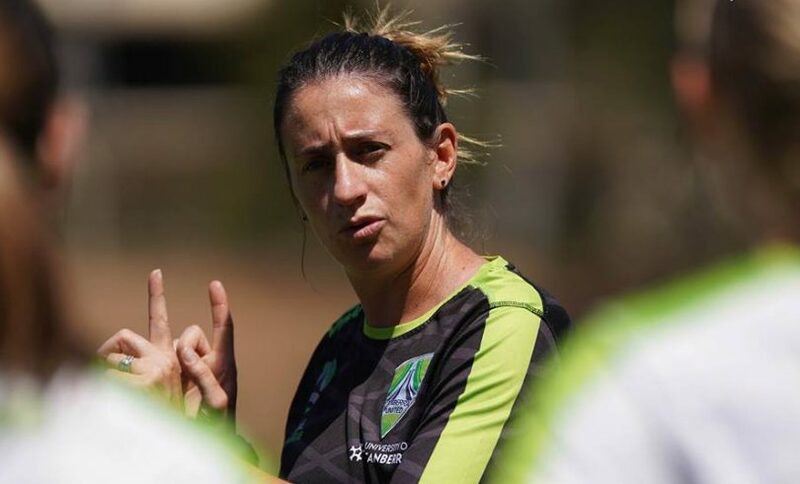 The transition though, from star player to coach, hasn’t been easy as she struggled at times to control her own expectations of Canberra United. As she walked away from last season, she realised that she needed to learn more about herself and what she needed to do to get the best out of the players. In a moment of self-reflection, Heather felt as though she needed to be more forgiving of others under her control as coach; a realisation that the high expectations personally set, can’t always be those of others. She has a desire for excellence, a desire often interpreted by those outside the inner circle as a ‘take no prisoners’ hard-line approach to coaching. Heather says it is polar-opposite to her personality, which is very much fun loving, a joker in the pack, and ready for a laugh. She cares deeply about the players, with a focus on who they are as people, first and foremost, ahead of who they are as footballers. Through a need to get out of her comfort zone and seek change in her approach, Heather has embarked on a series of self-awareness initiatives aimed as much at getting to understand herself, as well as the role of a head coach. Heather spent time with the Australian netball team and head coach Lisa Alexander, she started a leadership program at the AIS, embarked on a series of community football programs, as well as speaking at schools. What Heather has learnt is that the journey is more important than the results. In other words, if the process is right, the results will follow. It is a path followed by many successful coaches through a period of realisation. Heather says she plans to spend time with A-League clubs as well to see what she can learn from their experience. Garriock is under pressure after missing out on finals for two seasons in a row. Photo: Canberra United. 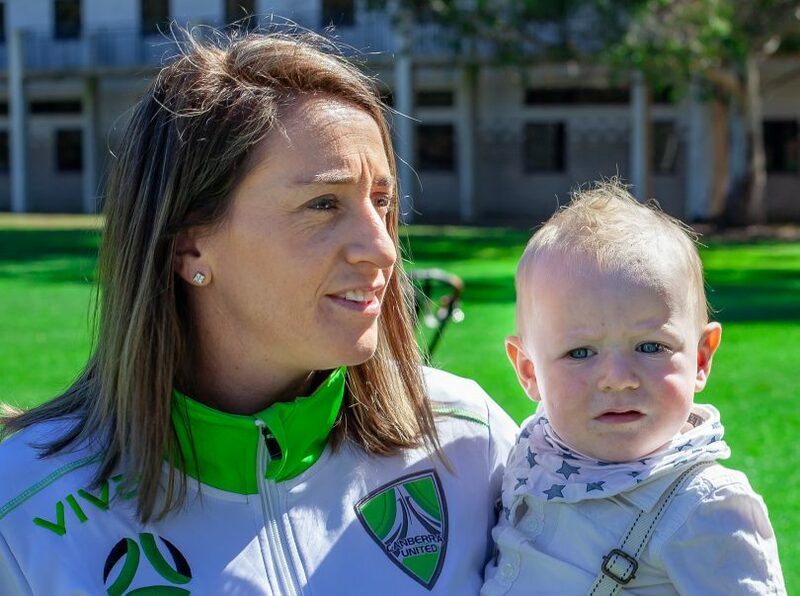 But it’s not as if she isn’t already busy as she juggles three children under the age of six years and a family, whom she describes as her foundation, and a coaching role which has just taken on greater proportions with the position now encompassing all aspects of women’s football in Canberra. She is excited by the prospect of working on the development of young players through the year, not just through the W League season, as she takes on the coaching reigns with the under 17s through the winter. Heather says a return to the development age groups will help her rekindle an understanding of the pathway she undertook as a young player and the reason she fell in love with the game in the first place. It has taken time to get to this point, but the results are already evident through Heather’s new role and her desire to make Canberra proud of her football team. Tags A-league AIS canberra united Heather Garriock Lisa Alexander W-League.